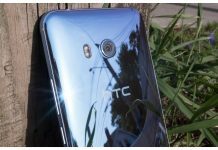 The last few years have not been good for HTC and the company has witnessed quarter after quarter of losses. 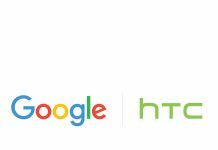 However, somehow HTC always manages to introduce a top of the range smartphone every year. This year, all bets were on HTC U12 Plus to turn things around. 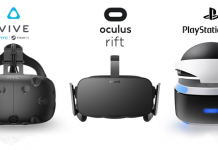 It is an evolution of the predecessor in many ways. The phone also has virtual keys that can be operated with a gentle pressure on the aluminum edge at the side of the display. However, this novelty has resulted in a disaster, much to the disappointment of HTC. However, do not let this cloud your judgment as HTC U12 Plus is nearly perfect in all other departments. It is very unfortunate that instead of coming up with a more classic solution HTC opted for the virtual keys. 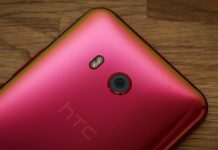 Is HTC’s latest offering good enough to be its saving grace? Let’s find out in our HTC U12 Plus review. 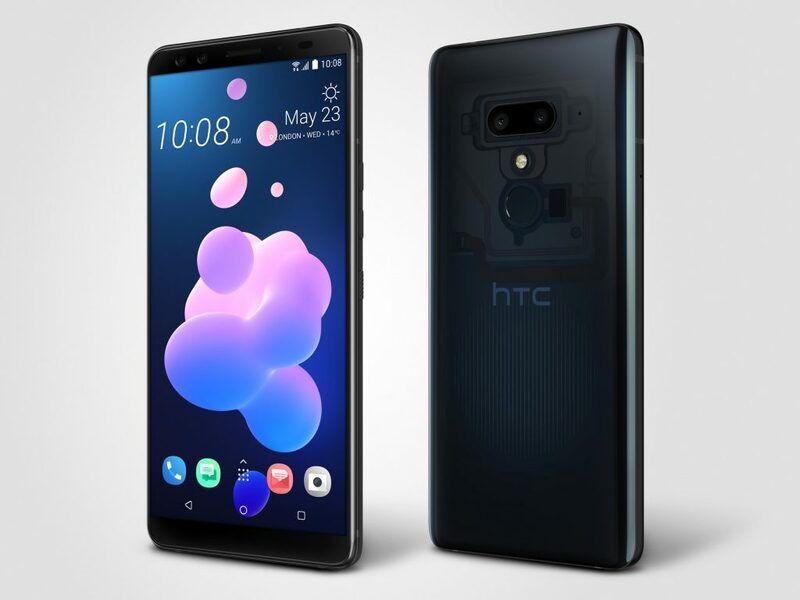 The HTC U12 Plus comes with a Type-C cable, a power supply, a plastic cover and a pair of U-Sonic headphones that offer a dynamic reduction of the background noise and are of great quality. 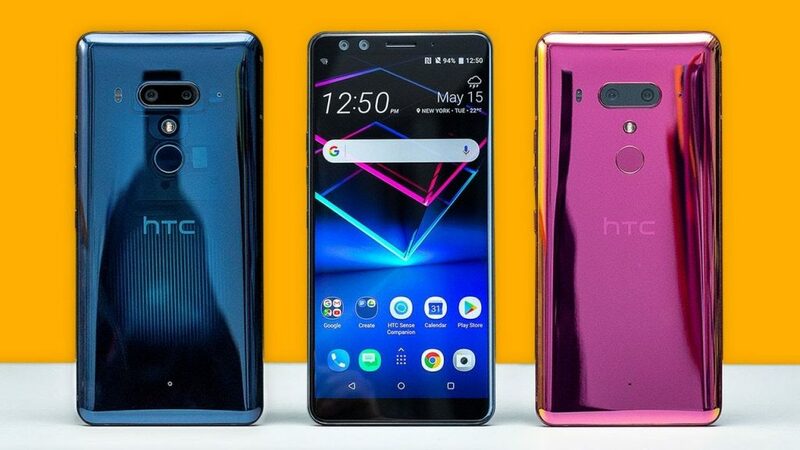 HTC U12 Plus boasts of top-of-the-range hardware, the best available in the market right now. It is powered by the Qualcomm Snapdragon 845, flanked by the Adreno 630 GPU. The phone has 6 GB of LPDDR4 RAM and 64 GB of onboard memory, which is expandable via microSD. The phone also has a lot of sensors including a gyroscope, accelerometer, proximity, light sensor, and LED notification. There is also a fast fingerprint sensor on the back. For connectivity, there is Bluetooth 5.0, GPS, NFC, LTE data exchange of Cat. 18, and a Type-C 3.1 connector. 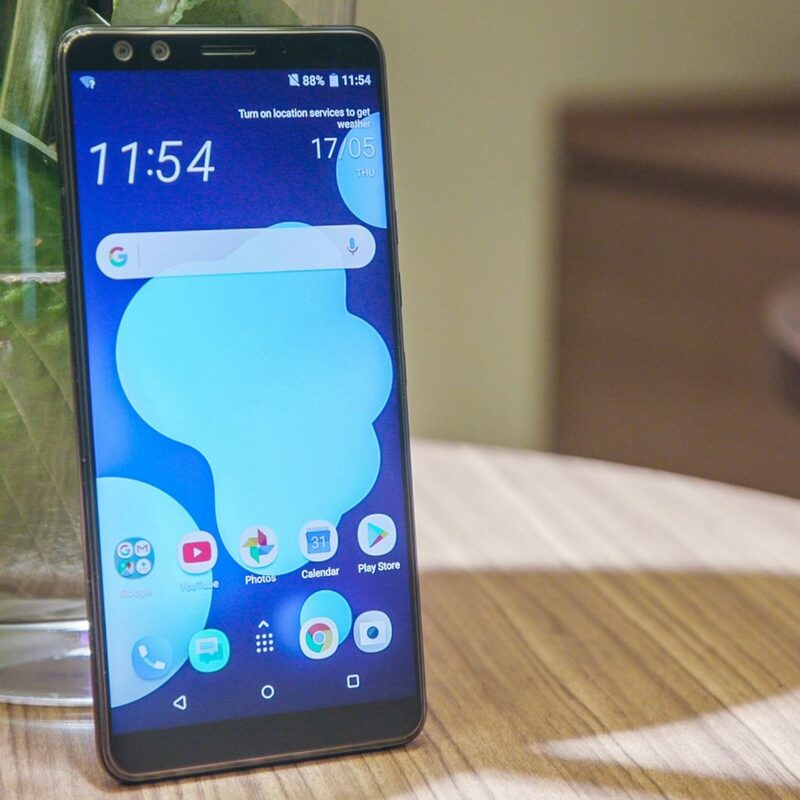 The real peculiarity of the HTC U12 Plus is its virtual keys that detect the pressure put in specific points of the frame. 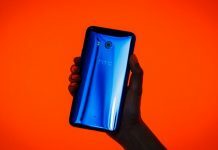 The virtual keys present on the HTC U12 Plus are an evolution from the Sense Edge, that was first seen on the HTC U11 and then on the Google Pixel 2 XL. The keys are very small and they do not have any kind of click neither do they yield. However, they can sense the pressure exerted and act as a classic key. The haptic feedback emitted by the phone when the keys are being operated on is also very important. It is also very credible. 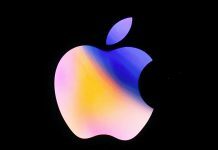 It is similar to the iPhone’s Taptic engine on the home key. Even though the idea behind the mechanism is rather interesting, it is not very practical and confusing to use and it can be difficult to get yourself familiarised with it. In fact, it could sometimes be mentally straining to put in so much effort for a simple operation like pressing a button. The virtual buttons offer no practical advantage to the implementation of this technology isn’t really justified. Also Read: HTC U11: A Phone SO Good You Can Squeeze It! The system is imperfect and that’s the main problem. It requires different pressure load for each key and you might end up unintentionally pressing a key. The activation is not detected in quick succession. The coexistence of this system with the normal Sense Edge functions is a bit of a problem, as they have lower action targets and are sometimes activated by accident when the phone is the palm of the hand or when the user is pressing the power or the volume button. The telephone part of the HTC U12 Plus is great and reliable. Signal reception is really good. The sound quality in the capsule is excellent. There are no anomalies in using other connections such as GPS and Bluetooth either. The HTC U12 Plus is always fast and efficient. The performance of the phone is one of the best things about it. However, there is a slight overheating when using heavy apps or games. However, this is pretty standard and not a cause for concern. This is a very refined and nice smartphone. It has a glass design on the back and metal on edges. At 188 grams, the phone is quite heavy. The phone is also pretty large. Its dimensions are 156.6 x 73.9 x 8.7 mm. However, it is not really uncomfortable to use, largely because of a slight step between the front / rear glass and the edge. The phone is dust and water resistant with IP68 certification. It is very accurate in every detail. Space is well optimized frontally as well. The HTC U12 Plus doesn’t have a notch and the side frames are very slim. In terms of design, HTC U12 Plus is certainly one of the most pleasant high-end smartphones of 2018. The HTC U12 Plus sports a 6-inch Super LCD 6 and has a resolution of QHD +. It is great for naturalness, color calibration, and white point. It could have been better in terms of maximum brightness. The display is a lot better than that of the predecessor. Even though this isn’t the best display in the market, it’s quality is perfect. There is no audio jack but that has been compensated for by the excellent stereo speakers, which are well balanced and powerful. There is also a HiFi DAC for playback and recording of high-resolution audio. It is perfect, especially when paired with the U-Sonic headphones that come with the phone. The software system calibrates the sound in the headphones with excellent precession. The HTC U12 Plus has a dual camera system in the back. The first is a 12 MP F / 1.9 OIS with Sony IMX 363 sensor and Dual Pixel AF, and the second is a 16 MP F / 2.6 with optical zoom. There are two selfie cameras (8MP + 8MP) with bokeh effect. The quality of the pictures is great during the day and fine in the evening. The views are very detailed and the macros are spectacular. Great pictures can be taken indoors and during intermediate situations such as the sunset. However, when there is a lot of light or strong light sources, there are some difficulties in managing noise and exposure. Pictures taken with the zoom camera have a lower quality compared to those taken with the main sensor. However, it can still be used when needed, especially when shooting in well-lit environments. The pictures with HDR are great and portraits have simulated bokeh effect. The results from the front camera are also great. Selfies are good in all conditions, particularly during the day. Thanks to the two cameras, the bokeh effect is also activated. The videos are also great. They go up to 4k at 60 fps and benefit from an effective optical stabilization and digital stabilization up to 30 fps. The image quality is great and the audio is even better. With 4 microphones scattered on the body of the phone, the audio is almost cinematic. HiFi DACis also there which means you can record high-resolution audio. The audio zoom function is also there which intensifies the sound coming from the area where you zoom. The HTC U12 Plus has a 3500 mAh. Even though the battery is huge, it doesn’t offer a lot in terms of autonomy. On a full day of average use, you get nearly 4 hours of active display. It is just enough to last you till the evening, and consumption will increase even more with intense use. 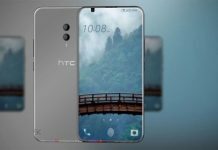 HTC U12 Plus runs Android 8.0 with Sense customization. It’s a good mix of pure Android and advanced features. The main changes are related to the scope of Sense Edge, the pressure-sensitive edges. Using the app, you can also create custom actions. You can assign a function to the long hold, the quick squeeze, and a double tap on the edge. Even though all the functions are interesting, they are a total waste because it is hard to use them with the pressure keys. Apart from that, the Sense is the same as the one seen on HTC U11 and U11 Plus. 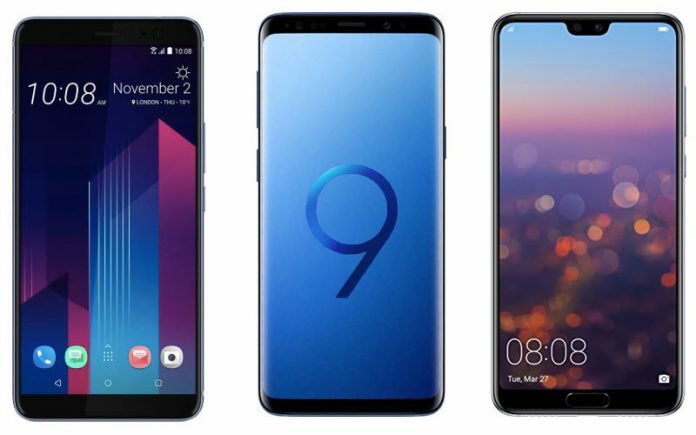 It is great as a concept because it keeps the imprint of Android pure and there are some improvements such as the navigation bar buttons and graphics customization which is deep and complete through the themes function. The phone could have made a better choice than the News Republic for the Blink Feed as it is notorious for click bait and fake news. The HTC U12 Plus also has a facial recognition system which works well even when there is not a lot of light. There is a dedicated option for illuminating the face too. 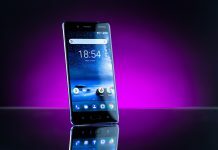 The HTC U12 Plus review is incomplete without its price, which is 799 euros. 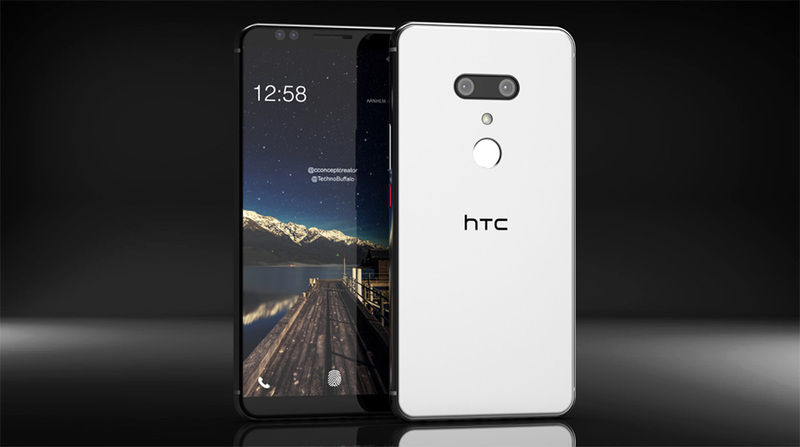 The phone could have been perfect if HTC hadn’t implemented the virtual keys. Even though it is good to be innovative, the innovation must be realistic. HTC U12 Plus can be called a niche product, one that HTC fans will enjoy. For others, there could be issues with usability. 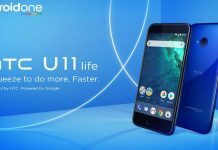 HTC U11 Life Review: How Good Is The First Android One Smartphone?